Journey into the heart of the Argentinian Lake District and camp out around bonfires along the way. Truly experience the 'gaucho' lifestyle amongst the mountains, volcanoes and glacial formations. 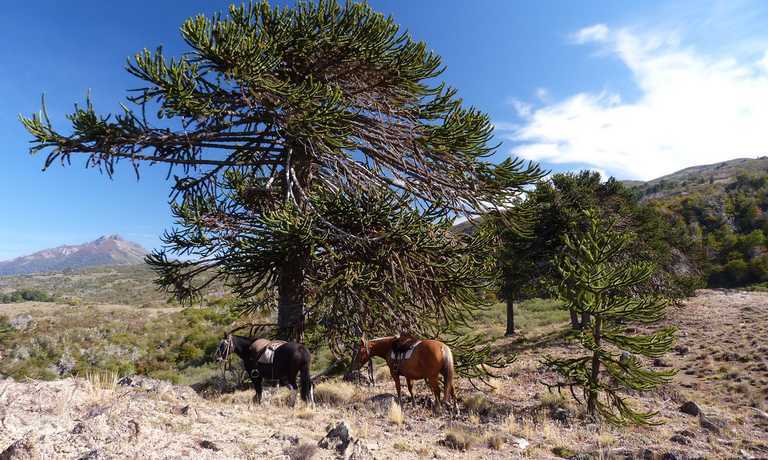 Day 1: Meet your horse and feast on asado! Arrive in San Martín de los Andes. During the afternoon, you will go on a gentle ride, getting to know the horses, as they will become your best friends over the next 6 days. When you get back to your mountain cabin, drinks and a home cooked dinner will be waiting for you. A typical meal might include a traditional asado (Argentinian BBQ), fresh river trout, stews as well as grilled vegetables. And don't forget some Argentinian wine! After breakfast at the mountain cabin, set off on a 3-night camping ride into indigenous forests, stopping at wonderful viewpoints and spending time relaxing by ice cold rivers. You'll be riding on varied terrain from steep mountain trails, flat water-meadows to rocky hillsides. You will stop for a picnic lunch of homemade bread, cheese, cold meats and fruit. There's no rush so you can enjoy a short siesta before continuing to your first campsite. Dinner will be cooked over an open fire, gazing up at the night sky whilst exchanging stories. 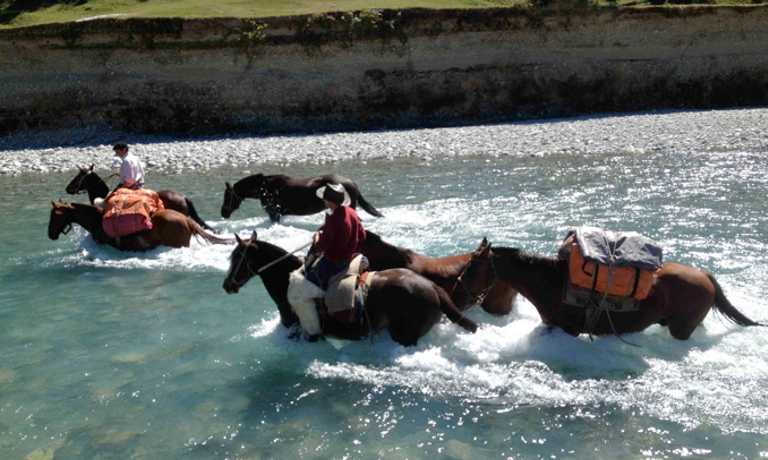 Today you will ride back to base camp, leaving behind many good memories of a lovely time spent in the wilderness. You'll have a farewell dinner and you can choose to spend the night at the cabin or you can book into a hotel in San Martin de los Andes. 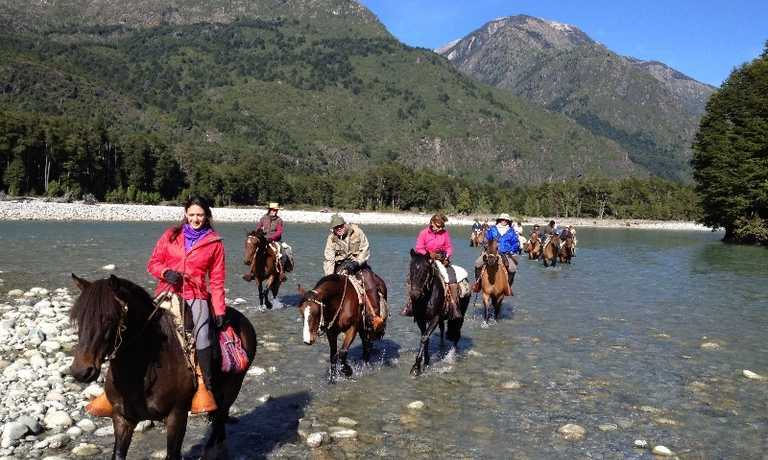 During the morning you can go shopping in San Martín de los Andes or you can take a last morning ride. Then, say goodbye to your guides and continue on the rest of your trip! This trip can run as a group trip, with prices starting from $2,000 per person for a complete group. If you are looking to join a group or you are a solo traveller we will help to form likeminded groups of travellers. Please let us know your travel plans.